Since the first Earth Day in 1970, the National Wildlife Federation has helped people get outside and connect with nature through regional events, cleanups, and public service announcements from familiar faces. Create and certify a wildlife habitat at your home, business, or place of worship. National Wildlife Federation has certified over 220,000 properties and public facilities as wildlife habitats participating through our Garden for Wildlife program, engaging more than 1.5 million people. Certification involves the key steps to provide food, water, shelter and places for wildlife to raise their young. Help a local school create and certify an educational Schoolyard Habitat for wildlife. National Wildlife Federation has certified more than 5,000 schoolyard habitats that help nearly a million students learn about local wildlife, pollinators and plants. You can even help your whole community become a certified wildlife habitat. NWF has more than 150 cities, counties, and towns active in managing or becoming Community Wildlife Habitats. Join the Great American Campout this year and make your local park, state park, tree house, backyard—or any of your other favorite outdoor spots—home for the night. The Great American Campout has helped more than 1 million people to get outdoors and strengthen our bond with nature. Help NWF plant more than a million trees in the next three years and have a direct effect on protecting wildlife for current and future generations. Find one of NWF’s state affiliate partners near you to participate in local events, programs, and workshops. Join the ranks of NWF’s active and enthusiastic members. 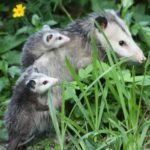 You will receive the award-winning National Wildlife magazine and learn about opportunities to influence policy makers and help wildlife, water and habitats across the nation.